HEADS UP: One major difference between the 2017 International Restaurant & Foodservice Show of New York (5-7 March) and last year’s show is an abundance of healthy beverage choices. Over the next two or three months on Wednesday (not every week, though), we will bring to your attention news of some noteworthy, new and newish food and drink products that are nutritious, delicious and crafted with care. Because there was an abundance of beverage choices, we will discuss them over two consecutive weeks. Also this year, we will also break down the articles by category, e.g., beverages, sauces, baked goods. We hope that some of the products will make it into your shopping cart. 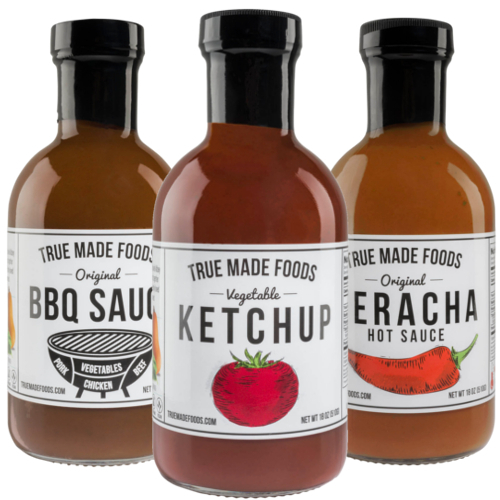 Visit the homepage of True Made Foods (http://www.truemadefoods.com) and those are the first words you will see. An apt response to such a declaration might be something like, “right,” meaning that’s a bunch of baloney. The way it was when, back in the day, the Reagan Administration tried a similar line in an attempt to save money on the school lunch program. It wasn’t successful. The vegetables in question in True Made Foods ketchup are carrots butternut squash and spinach. It is also gluten-free, vegan and non-GMO. 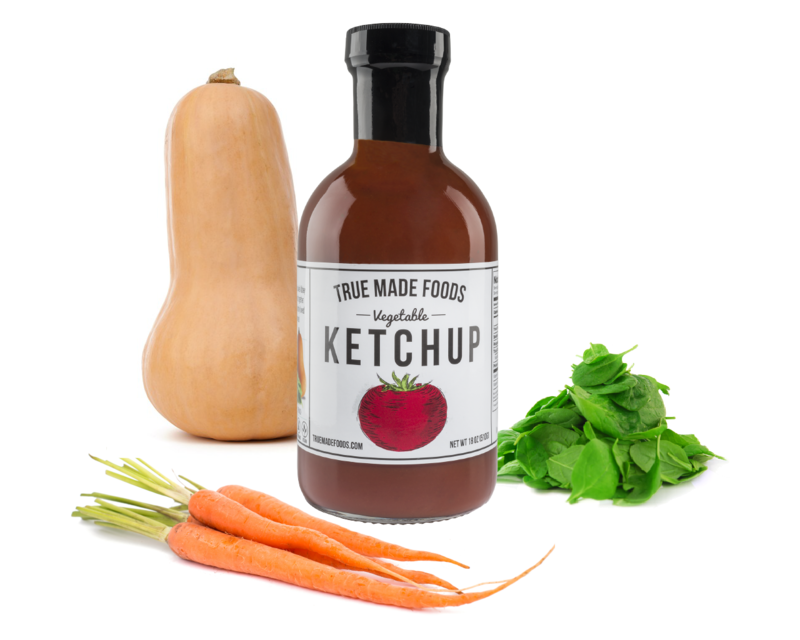 The most popular conventional ketchup brands, which won’t be named, have upped their game to include healthier varieties, but they still sell the old-fangled ketchup that contain both GMO-laden high fructose corn syrup and corn syrup. Each bottle of True Made Foods ketchup (there is also a Veracha hot sauce and BBQ Sauce made from that veggie base) contains a cup each of the three aforesaid vegetables. This imparts sweetness, making the sugar load unecessary. A tablespoon contains 2 grams of sugar, where the conventional brands contain anywhere from 3 to 6. The ingredient list is shorter and less dense, too: Tomato puree (tomato paste, water), vegetable puree (butternut squash, carrots, spinach), sugar, vinegar, salt, onion powder, All Spice. And the taste? It’s rather good. Meanwhile, if jams, jellies and marmalades are your thing, two New York state farms have you covered. 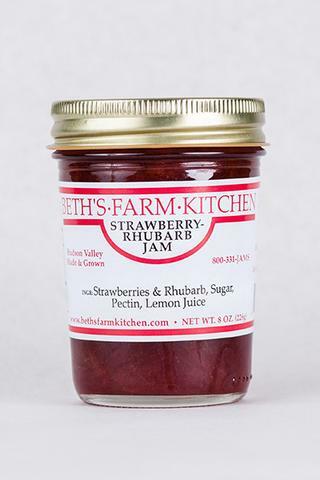 Beth's Farm Kitchen​ "supports local farmers in the region by transforming their amazing produce into delicious treats" such as strawberry rhubarb jam. Though Beth's Farm Kitchen (BFK) and Kerber's Farm produce various flavors, I gravitated toward Strawberry Rhubarb. The two versions are equally delicious, with a well-balanced flavor profile. There is a hint of tartness that is derived from the rhubarb that tamps down any treacliness. It won't do to have jam that is too sweet, will it? The only difference in the jams that I could detect is the price. At BFK (http://www.bethsfarmkitchen.com/), which also produces mustard, pickles, chutneys and such, jams start at $9. Prices across the board can rise, however, after the 36-year-old Hudson Valley farm completes the redesign of its packages. Strawberry rhubarb and other jam flavors are mainstays of Kerber's Farm, which under new ownership is still dedicated to providing organic produce and homemade baked goods. 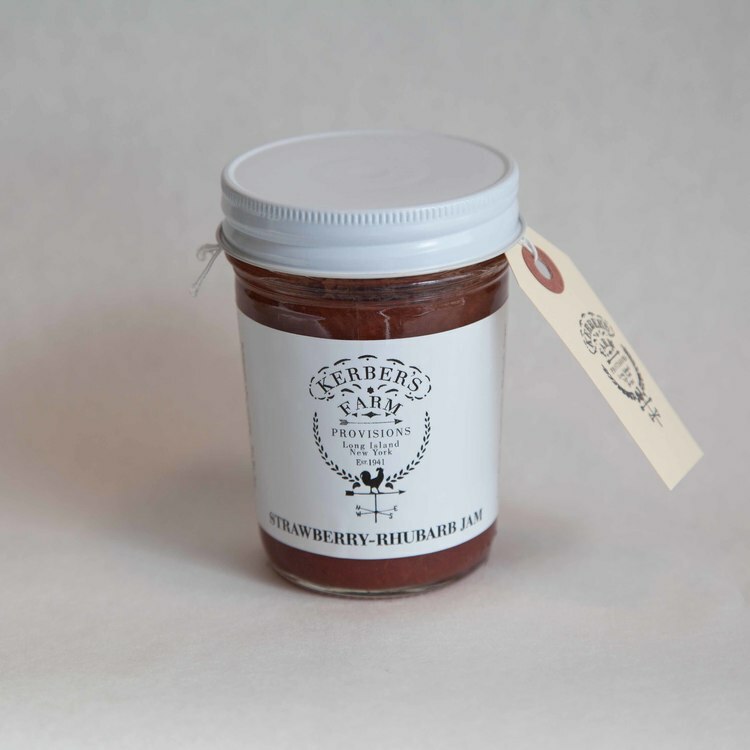 Like BFK, Long Island-based Kerber's, which was purchased by food purist Nick Voulgaris in 2013, doesn't rest its laurels on jams only. Among its other products are herbs, oils and baked goods.